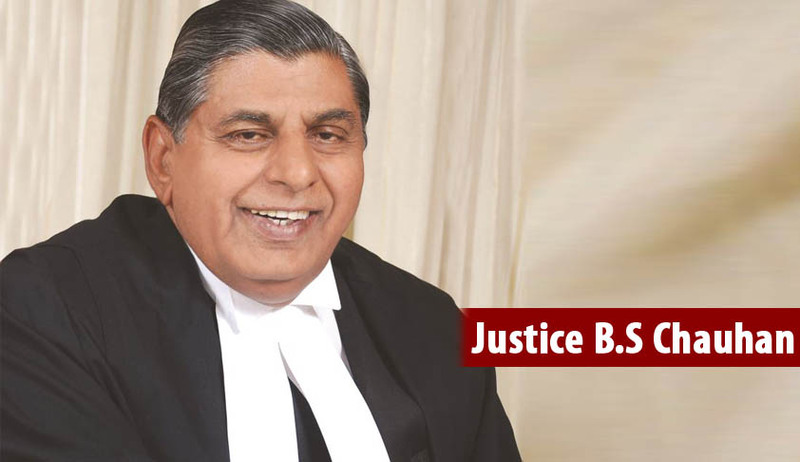 Breaking; Justice B.S Chauhan appointed as new Chairman of Law Commission of India. Former Supreme Court Judge Justice Balbir Singh Chauhan has been appointed as the new Chairman of Law Commission of India. Justice Chauhan was elevated as a Judge of Supreme Court of India on 11.5.2009 and he was retired on 1.7.2014. The 21st Law Commission was constituted for a period of three years from 1 September, 2015 . The commission will have its tenure only till 31 August 2018. The Law Commissions since 1955, have submitted 262 Reports so far to the Government, on various subjects. The last report, submitted on 31 August 2015, by the previous chairperson, Justice AP Shah, had recommended immediate abolition of death penalty for all purposes, except terrorism-related cases. All the previous Law Commissions, except the fifth one, were headed by Judges, either serving or retired. The fifth Law Commission was chaired by KVK Sundaram, ICS, between 1968-71. The notification also offers no clue as to how the part-time Members/Consultants are to be appointed, who could qualify to be one. Generally, senior advocates are considered for appointment as part-time members. The terms of the 21st Law Commission are of considerable significance, and it is inexplicable how the Government delays appointment to the Law Commission, even while it, in other forums, is eloquent about their importance to governance. Examine the existing laws in the light of Directive Principles of State Policy and to suggest ways of improvement and reform, and suggest legislations necessary to implement DPSP, and to attain the objectives set out in the Preamble of the Constitution. Examine the existing laws to promote gender equality, and suggest amendments thereto. Revise the Central Acts of general importance so as to simplify them and to remove anomalies etc. The remaining details of the terms of reference can be read here. Although each Law Commission since 1955 had three-year tenure, it is perhaps for the first time that the Commission had been headless for nearly six months since its constitution.